Not All Nutritional Supplements Are Truly Complete! Doctor Formulated & Doctor Approved! You simply can't buy a more nutritionally complete, easier to take, better tasting, higher assimilated nutritional supplement... AT ANY PRICE! 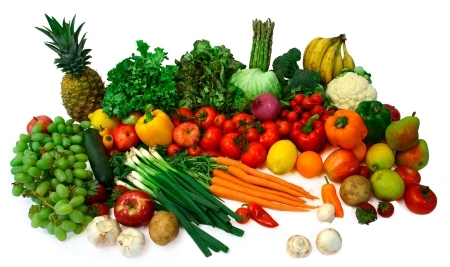 green foods, phytonutrients, and other life supporting nutrients. Life would be simple if all nutritional supplements were this complete! Preservatives, Colloids, Fat, Cholesterol, Wheat, Gluten, Caffeine, Corn, Yeast, Rice Flour, Peanuts, Nuts, Soy, Dairy, Fish or Fish Oil, Animal Products, Artificial Additives, Artificial Colors, Artificial Flavors, Fillers, Pesticides, Herbicides, Antibiotics (drugs), Chemicals, Starch, Binders, Coatings, Excipients, or Flow Agents. DRINK TO YOUR HEALTH! 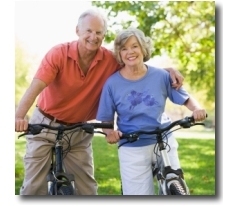 What is it worth to you to feel youthful and have great health? Getting the right nutrition in the right amounts every single day is the "secret" fountain of youth and health mankind has sought for centuries. 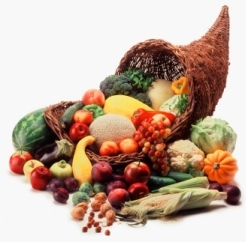 Health care professionals have long recognized the problems in nutritional assimilation and absorption. 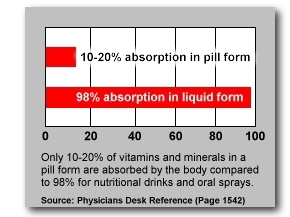 Natural liquid form vitamins, minerals, and nutrients are utilized by the body at almost 100%, as compared to only 10 to 20% assimilation of pills. This means that you'd probably have to swallow a quarter bottle of multi-vitamin pills to equal the same nutritional assimilation in one fluid ounce of IntraMAX! IntraMAX is a 100% carbon-bond organic microcomplex; natural and plant-sourced - perfectly balanced and blended whereby your body can most effectively readily absorb. The nutrient ratios are perfectly maintained and balanced; the way nature intended. It is this natural balance (in conjunction with the purity and the nutrient completeness) that makes IntraMAX so effective. Blended by nature... proven by science! The human body is designed to most effectively utilize minerals that are 100% natural and that have first been assimilated by plants. IntraMAX has been naturally blended to be the most complete and bio-available natural dietary supplement on the marketplace today! Not all nutritionals are created equal! IntraMAX is the most advanced natural product ever developed for fulfilling the nutritional needs we have in our stressful, fast-paced, and polluted society. "Every disease is directly linked to a mineral deficiency". --Dr. Linus Pauling, two-time Nobel Prize winner. Every mineral has a critical use in the body. Minerals are necessary for 95% of the body's daily functions--without them we die. Essential and rare earth nutrients are required to fulfill one's genetic potential for longevity. Good nutrition is the bedrock of being healthy and is a major determining factor between illness and wellness. What you may not be aware of, is even though you may pride yourself on eating right, you probably aren't getting the minerals and nutrients your body needs. This all stems back to a serious warning conveyed by Senate Document 264 in 1936. It alerted Americans to the massive mineral deficiencies in our nation's farmlands. "99% of American people are deficient in minerals and a marked deficiency in any one or more of the important minerals actually results in disease!" "The alarming fact is that foods (fruits, vegetables and grain) now being raised on millions of acres of land that no longer contain enough of certain minerals are starving us-no matter how much of them we eat. No man of today can eat enough fruits and vegetables to supply his system with the minerals he requires for perfect health because his stomach isn't big enough to hold them." "The truth is that our foods vary enormously in value, and some of them aren't worth eating as food. Our physical well-being is more directly dependent upon the minerals we take into our systems than upon calories or vitamins or upon the precise proportions of starch, protein or carbohydrates we consume." Supplementing your body with essential vitamins, minerals and nutrients may help create the optimal environment in the body for maximal life expectancy by replenishing nutritional deficiencies. There are some Eastern cultures that have people routinely living to ages in the range of 120 to 140 years old (ex: the Hunzas). The common link that these amazing cultures share to make these astounding life-spans possible is the daily ingestion of, and farmland cultivation with "glacial milk". This "milk" is ordinary water that is naturally combined with high amounts of essential and rare minerals. It is these minerals and this total nutrition, according to leading doctors, that extends the life expectancy of these cultures far beyond that of the majority of the world. The amazing thing is, these cultures have no "modern medicine", doctors or pharmaceuticals to assist them in living these elongated life-spans; it is clearly done through prevention and nutrition. Beyond the shadow of doubt, nutritional supplementation is essential throughout all phases of our lives. Since our bodies are made up of physical matter, it only makes sense that most or all of the elements that make up the physical universe must be present for optimal function and total health. The full spectrum of these essential elements must be present to maintain the delicate bio-electrical and elemental balances. Vitamin, mineral, and nutrient supplementation is essential to our overall health. IntraMAX has formulated a powerhouse blending of natural foods and plants that best contains this full spectrum total nutrition, and is perhaps the one total nutritional formulation that your body absolutely must have! By filling nutritional gaps in the body, you potentially set yourself up for increased wellness and vibrant health. Remember, no one can do more to keep yourself healthy than you! IntraMAX is a liquid dietary supplement derived from 100% all-natural sources, making it the maximum bio-available and absorbable blending possible; and better able to be utilized by your body than any synthetic products made in a laboratory. Because your body is designed to effectively absorb natural nutrients, why spend your money on chemical or synthetic ingredients of which the majority is simply flushed away by your body? Compare IntraMax to any other nutritional supplement product on the market (natural or synthetic)... none can compare! In simple terms, this formula has been blended to contain the most complete compilation of vitamins, minerals, amino acids, antioxidants, enzymes, and nutritional agents available. In fact, there are over 415 naturally pure bio-available nutritional components in just one ounce of this product! By far the most complete natural nutritional formula on the market. Nutritional supplement you will need!! 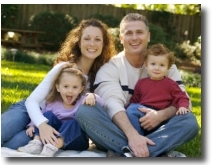 "I have been using IntraMAX and the results have been excellent. I continue to have substantial improvement in the quality of my life. I also have not had a cold or the flu in almost four years." "Thank you, Dr. Drucker, for developing an outstanding whole foods nutritional product. I've been taking IntraMAX now for over 8 months along with several other family members. The results have been outstanding for all of us. For the past 25 plus years I've personally been involved in whole foods nutritional support and never before have I witnessed the positive results from taking IntraMAX. The best part has been that it's easy to take and you know you're getting everything you need in one easy capful. Thank you again and I couldn't imagine not having my daily dose of IntraMAX"
"I consider IntraMAX the quintessential liquid nutritional supplement. Besides being great tasting, it gives each of my patients a balanced energized feeling of well being. I am very impressed with the quality and the incredible research that has gone into this unique elixir. I encourage the use of this excellent tonic. I use this myself and will keep doing so. Dr. Drucker has produced a winner!" "My patients say they love IntraMAX because it gives them so much energy and stamina throughout their workouts. Not only do they love the taste, but they like the idea of getting their minerals, vitamins, and amino acids all in one cap-full." "I am so extremely grateful for your development of IntraMAX. Since beginning IntraMAX, I am feeling wonderful and have more energy than I have had in the past ten years. I have a new physical sense of well-being concerning my health. In August of �95 I launched an urgent search for the best anti-oxidants and began to feed my body with the maximum daily recommendations of every vitamin and mineral known to man. I read two dozen books on nutrition. My goal was to find the finest organic and digestible supplements available. The cost of these products was killing our budget but I was well loved at health food stores. Since that time, I have been on a quest for the perfect dietary supplement." Many health problems can be caused or aggravated by nutritional deficiencies, nutrition that is very difficult -- if not impossible -- to get in today's over processed commercial food supplies. Supplementation of nutrition is the secret to protecting you and your family against disease, staying healthy and looking and feeling youthful. Offers Body Support*: Fatigue, Immune, Respiratory, Cardiovascular, Digestive, Endocrine, Lympatic, Skeletal, Muscular, Inflammation, Nerve, Weight, Brain, Neuro, Blockage, Vision, Dermal, Pain, Detoxification Phase I & II, Infection, and Sinus. Offers the highest bodily absorption -- 500% to 1,000% more nutritional availability than pills! 100% Natural and 100% Vegetarian! Over 415 Total nutrients! By far the most complete nutritional formula on the market! Low price compared to equivalent supplements on the market! Incredibly fast, easy and convenient way to get nutritional supplementation you need every day! Liquid form is much easier to take for infants, children & seniors! Tastes Delicious! ... Natural Mango/Peach Flavor! Have more energy & feel great... naturally! Perfect Phyto Foods & Nutrition - Super Energizing - All Natural Defense. IntraMAX may replace all of your supplemental nutritional supplements. Instead of taking bottles and bottles of numerous supplements every day... all you may need is IntraMAX. IntraMAX contains a proprietary blend of over 415 vitamins, minerals & important accessory nutrients. IntraMAX may be the essential daily complete supplement that helps supply enough nutritional fuel to meet the daily demands of a fast-paced world. Over 415 Nutrients in every serving! Is your health worth an affordable $2.42 a day? dietary supplement available for your health! 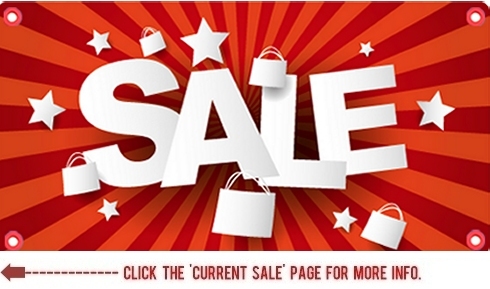 Click to add IntraMAX to shopping cart! 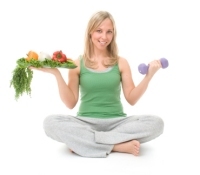 Want To Fully Maximize Your Nutrition? The Most Comprehensive Nutritional Blend Available! To Fully Maximize Your Daily Nutritional Requirements! The Full Land & Sea Nutrient Blend. 1 x IntraMax - Liquid Supplement. 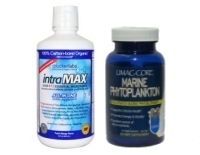 1 x Phytoplankton - Liquid Capsules.